We hope you join us to watch the Cal Bears play the Arizona State Sun Devils. We will provide appetizers and drinks for those wearing blue and gold. 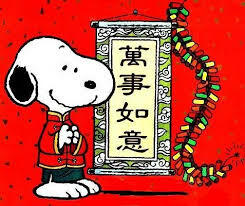 [RSVP LIST IS CLOSED] 祝大家春節快樂! Please join the Center for Chinese Studies for our annual celebration of Chinese Lunar New Year. Let us welcome the Year of the Dog with good food, prizes, and interesting conversations with old and new friends. Pre-payment is REQUIRED. $30 faculty & community; $15 students and UC staff; $8 for children. Come hear about Lyft's autonomous self-driving efforts! Free food, resume drop, and meet the team! 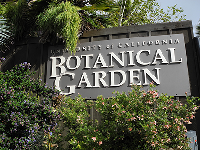 The Clark Kerr Garden is managed by Gardener Susanne Weisman along with the Cal Dining Sustainability Team Garden Coordinators and committed volunteers. Clark Kerr contains a culinary garden, an orchard, and continually growing edible landscaping. Members convene to work on editing the citations for legal scholarships. 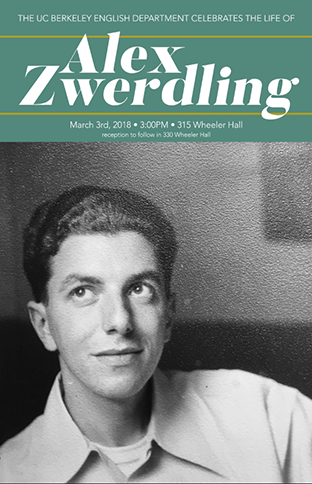 The Department will hold a memorial in honor of the life and work of Alex Zwerdling, on March 3, 2018, at 3 p.m. in the Maude Fife Room (315 Wheeler Hall). A reception will follow in 330 Wheeler Hall. All of Alex's friends, colleagues, students, and others are invited to join us. The event is aimed at spreading cultural awareness among students with specific emphasis on Tea drinking and agriculture. It also is to promote sustainability and equitable food systems, as we plan to use only organic, fair-trade ingredients. Finally, the event is a way to display the ideals of food, health and wellness which are the foundations that Kabira is built upon. Sponsors: Chancellor's Community Grant, Trybe Inc.
Have fun and meet other families in West and South Berkeley. For Children ages 05 and their caregivers. Free, drop-in, snacks, circle time, arts and crafts and science activities. Wikimedias race and gender trouble is well-documented. While the reasons for the gap are up for debate, the practical effect of this disparity is not: content is skewed by the lack of participation by women and underrepresented groups. This adds up to an alarming absence in an important repository of shared knowledge. 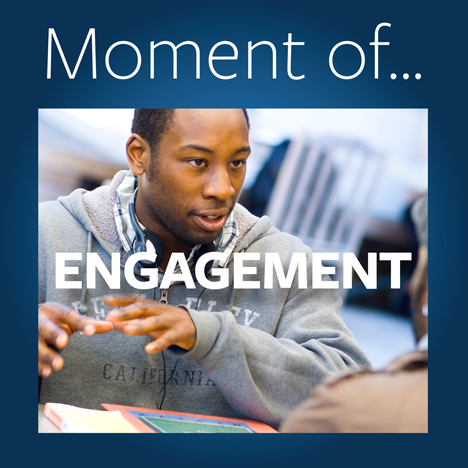 How can we best support and enhance the student experience at UC Berkeley? The strategic planning effort's working group devoted to the student experience is seeking input from the community. The Mindfulness Meditation Group meets every Tuesday at 12:15-1:00 pm at 3110 Tang Center on campus. All campus-affiliated people are welcome to join us on a drop-in basis, no registration or meditation experience necessary. We start with a short reading on meditation practice, followed by 30 minutes of silent sitting, and end with a brief discussion period. Please join us in welcoming Ralph Nader to speak about Consumer Law in the 21st Century. This event will feature a Q&A session. Free and open to the public, all are welcome. Sponsored by the Consumer Advocacy and Protection Society and the Center for Consumer Law and Economic Justice. Cal Night at the Golden State Warriors. Ticket info: promo code: CAL. Tickets go on sale February 1. Learn more about our inter-disciplinary Master of Engineering professional program at University of California, Berkeleys College of Engineering. Staff and students will answer your questions and discuss our innovative leadership curriculum, capstone projects, technical concentrations, dedicated career services, and admissions criteria. businesses enabling them to operate smarter, faster and more efficiently. Join GE engineers and recruiters to learn more about our technology and opportunities! Pizza will be served! On behalf of the Berkeley International Office, we would like to invite you to attend our Visiting Student Researcher (VSR) Social Mixer! All are welcome so feel free to invite friends,family or new colleagues. Food and beverages will be available for purchase. Join us for the first SERC Alumni mixer! This is a networking event for the SERC alumni, community members, and former Cal students involved with environmentalism in the Bay Area. Reunite with old friends, meet new folks, and learn more of each other's lives since your time at Cal. 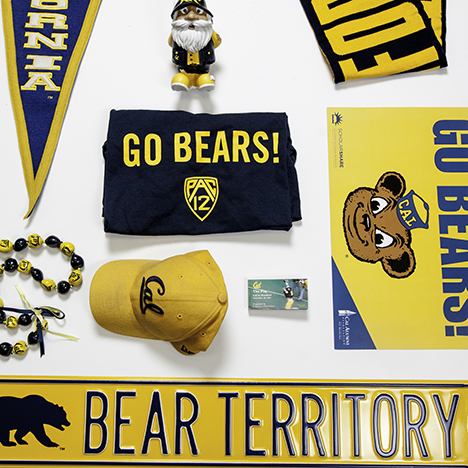 CAA has teamed up with the UC Berkeley Career Center to help students make connections and gain clarity in their career pursuits. 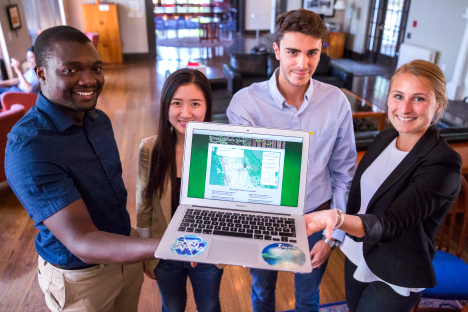 Big Give is UC Berkeley's annual online fundraising event. Stay tuned for ways to donate to SERC! The Big Give for International House: Share the I-House love! Join the College of Environmental Design in raising money for the CED Diversity Fund for Student Support on Thursday, March 8, 2018. 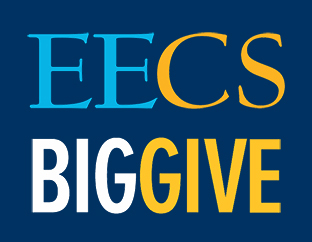 Big Give is an online fundraising event that gives you and the entire Cal community  alumni, parents, students, faculty, staff, and friends  the chance to come together to support your favorite schools and programs, and help those schools and programs win prize money. The Big Give is U.C. Berkeley's annual fundraising event. 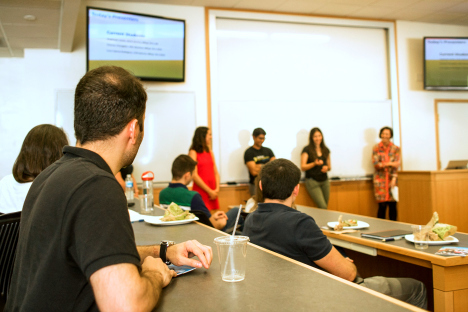 EECS alumni, parents, collaborators, students, faculty, staff, and friends will have the opportunity to come together to show our support for the EECS department. With your help, we can remain one of the finest departments in the No. 1 public university in the world. We hope you will join us! Come hang out with the Graduate Women of Engineering for a Breakfast Social! Free food and coffee are provided, all you need to do is join us and socialize! Join us for an hour of coffee and conversation! The Biostatistics Program would like to invite you to a reception in honor of Nick Jewell that will be held at the Howard Room in the UC Berkeley Faculty Club on Thursday, March 8, from 4-6 pm. 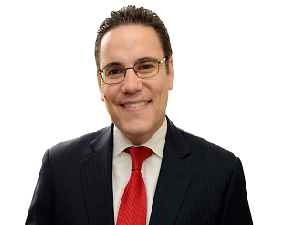 This reception will celebrate his election to the National Academy of Medicine, one of the highest honors possible in the fields of health and medicine. We look forward to seeing you all there. Come learn about the interesting machine learning applications at Rubrik! Students will discuss their experiences in taking the comprehensive oral examinations that are administered in the Institute of Transportation Studies. Current students are welcome to ask students about their experiences. 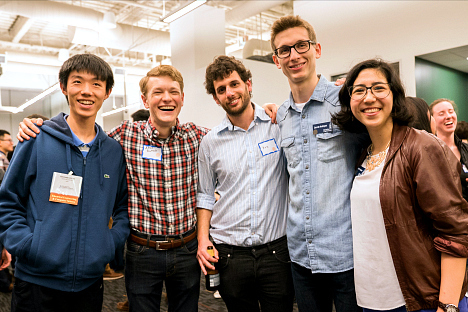 Come mingle with alumni and the Fung Institute staff at the 6th annual Master of Engineering Alumni Happy Hour! Attendance restrictions: Only open to Master of Engineering alumni and current students. Sign up for Berkeley Project Day Spring 2018 at www.berkeleyproject.org to help us build a better community! Breaching ideological echo chambers and the role of civility. A unique opportunity for students and the Cal community to engage in small group discussions with members of the Class of 68. This event is free, open to the public. Discover how this certificate, approved by the Human Resource Certification Institute, can help you make the most of growing opportunities in human resource management. Let's talk about Democracy in Africa! Gift of Life is an International bone marrow registry. As Campus Ambassadors, we are responsible to encourage people to enter the bone marrow registry to be potential donors and save lives. We do that by having people fill out a few quick questions and then be swabbed if they so choose. Find out how UC Berkeley Extension equips you with a solid understanding of marketings most up-to-date concepts and techniques. For more information, visit the Certificate Program in Marketing. Join us in Wozniak Lounge as Julian Wong, VP of Customer Success at DataVisor, discusses how DataVisor uses machine learning models to help detect and attack fraud. In 1964, amidst major fights over civil rights in the Bay Area, the UC Berkeley administration banned all student political organizations from campus. The Free Speech Movement demanded and won the right to free speech on campus. At its peak, the FSM organized hundreds of students to occupy Sproul Hall and an army of police was sent onto campus to violently arrest them. Come join Berkeley International Office to celebrate St. Patrick's Day and the beginning of spring by planting flowers, succulents, and herbs to take home with you for FREE! We'll have snacks, drinks, and fun games to celebrate the holiday, including some contests for extra-special, rare succulents--so come take a break, make some new friends, and go green with BIO! At Meraki, we believe that by simplifying powerful technology, we can free passionate people to focus on their mission and reach groups previously left in the darkness. Join us to learn more about who Meraki is, what products we work on, and ask questions with former interns and Cal Grads!. Free food will be provided and there will be a raffle! Lunar New Year marks the end of winter and the beginning of spring. 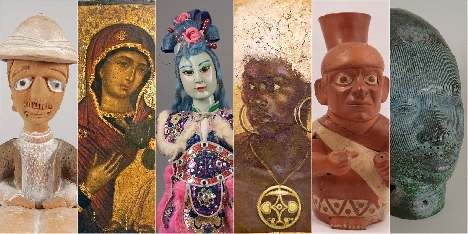 It's a time for family reunions, for honoring ancestors and for thanking the gods for their blessings. You are all invited to celebrate the Year of the Dog with your Cal family. RSVP info: Mail your reservations with check payable to UCCSCC to: Jan Eurich, 5255 Stevens Creek Blvd., Wuite 235, Santa Clara, CA 95051-6664. Gain academic preparation in the sciences along with one-on-one advising to enhance your application to medical, dental or veterinary school, as well as to advanced degree programs in medical- and health-related fields. Registration info: Please mail completed form and checks by February 27, 2018 to Gloria Imagire, 6689 Riptide Way, Sacramento, CA 95831. Register online or by calling Gloria Imagire at 916.427.8447, or by emailing Gloria Imagire at imaglo@att.net by February 27. RSVP info: RSVP online or or by emailing Rhonie Roggers at rhoniedee1993@berkeley.edu by March 19. 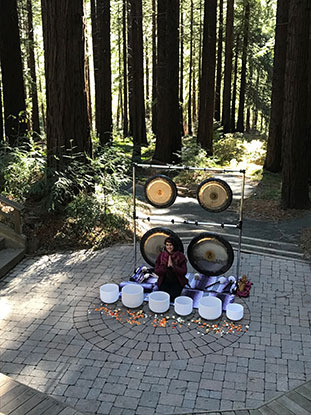 Celebrate the first day of spring with this special concert of quartz crystal singing bowls and finely tuned gongs at the UC Botanical Garden. Credit cards, history and scores: everything you need to know! Blood Drives at UC Berkeley are sponsored by the American Red Cross (ARC) to provide much needed blood to hospitals throughout the Bay Area. Teachers in ORIAS World History Reading Groups read one book each month within a global studies theme. 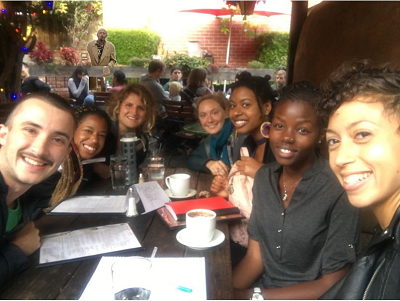 Participants meet monthly to eat and spend two hours in collegial conversation. 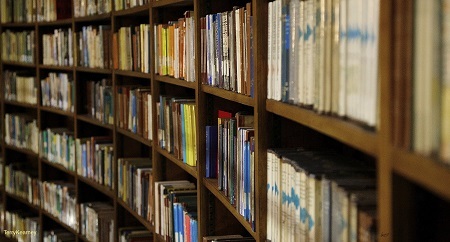 It is a relaxing, intellectually rich atmosphere for both new and experienced teachers. Attendance restrictions: This event is for k-14 teachers.